In this Isabel Dalhousie original short story, available exclusively in electronic format, our intrepid heroine--accused by a distraught wife of being the "other woman"--makes a surprising discovery as she attempts to defend her reputation. Summer in Edinburgh is a season of delicate sunshine and showers, picnics with loved ones in blossoming gardens, and genteel celebrations of art and music. 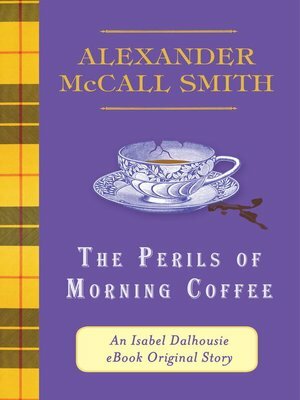 But Isabel Dalhousie's peaceful idyll is broken when a single meeting over coffee with fellow philosopher Dr. George McLeod brings an irate phone call from his wife, Roz, who implacably accuses Isabel of conducting an affair with her husband. Wounded by the injustice of Roz's wild allegation and concerned both for her standing among the gossipy group of her scholarly peers and for Roz's apparent state of hysteria, Isabel sets out to discover more about the McLeods, and to set the record straight before the bitterness in their marriage poisons her own reputation. For insight into the McLeods' relationship she turns to Millie, who is both an old acquaintance of Isabel's and a university colleague of George's. In this engaging, intelligently observed story, Alexander McCall Smith's sharp-eyed heroine is reminded once again to avoid jumping to hasty conclusions about the lives of others, and to value friendship wherever it's found.